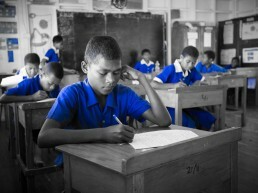 C3 Fiji started in 2010 on Kia island, located on the Great Sea Reef, off the north coast of Vanua Levu. 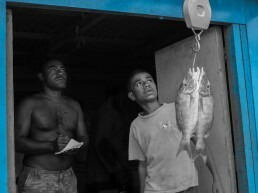 The challenges faced by Kia islanders are exemplary of many communities in remote tropical coastal regions today: deforestation, lack of reliable water and electricity supply, overfishing, exploitation of endangered species for international trade, coral bleaching, and increasing frequency of storm surges and coastal erosion. C3 partnered with the Kian community to build awareness, capacity and inspiration for environmental stewardship. Now, the majority of houses have solar energy, fuel-efficient stoves, knowledge of habitat and fisheries monitoring and MPA regulations. Furthermore, sustainable livelihood options have worked successfully, with great input and management by local women. Screen-printing, apiculture, village stores, and handicrafts are small businesses that now supplement income that was wholly dependent on fisheries. Following the success on Kia, C3 has extended its efforts to 10 further communities across Macuata province and cannot keep up with the requests from new communities to support them in MPA establishment and management and rural enterprise development. 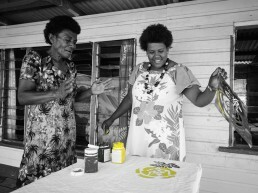 C3 Fiji is truly community centred as its name implies. We’re not a NGO which comes and goes to rural communities in order to implement top-down projects conceived in costly offices in cities by development personnel. We’re grassroots, located in the community and all of our ideas come from the community and complement the country’s overarching sustainable development goals. We don’t intend to impress you with technical jargon and to win over our donors with flashy propaganda. Ultimately conservation and development need not be over-complicated or theoretical; we have developed successful environmental stewardship models with proven impact and our job is to adapt, replicate and scale up what we do to reach more and more communities and areas of critical biological importance. 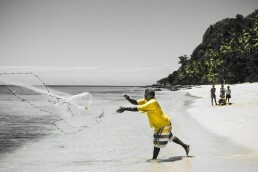 We only promise to deliver effective, sustainable and impactful conservation and development at the best possible price. Some donors can’t believe we can deliver what we state for the price we do and this has sadly often meant their failure to invest in us. The reason we can deliver at much lower cost than most NGOs is that we are locally-based, locally-run and have hundreds of community volunteers, well-researched suppliers and a policy of zero or minimal waste. The international community has to admit that conservation has not been successful to date, we are still losing hundreds of species and swathes of habitat each year. With limited funds and time, we must shift our paradigm away from neo-colonial conservation approaches and waiting for data to inform decisions, instead we need to capacitate communities to manage and monitor key biodiversity areas with their own drive and commitment before it is too late. 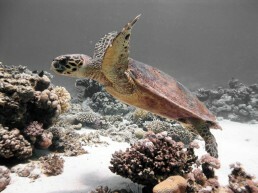 It is also time for donors to take a good hard look at value for money when it comes to future conservation investments and move away from an approach which has historically supported short-lived outcomes with high administrative cost and unfortunately led to corruption and external dependence of local institutions.